Whether it is ideas, notes, memories or general day dreams! 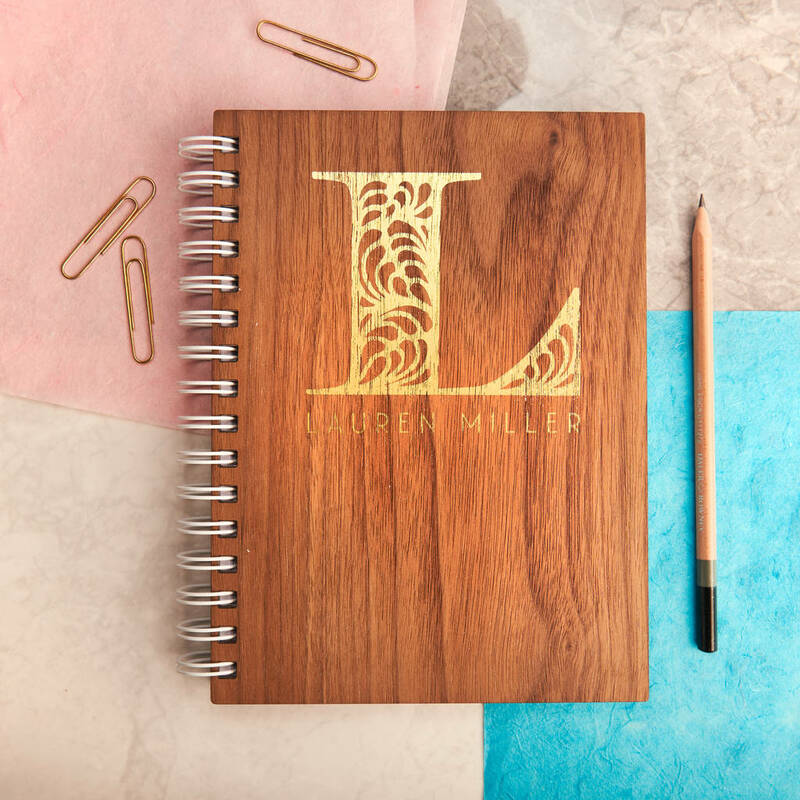 Keep them all together in one place with this luxurious and unique gold monogram notebook. The perfect personalised gift for friends and loved ones. 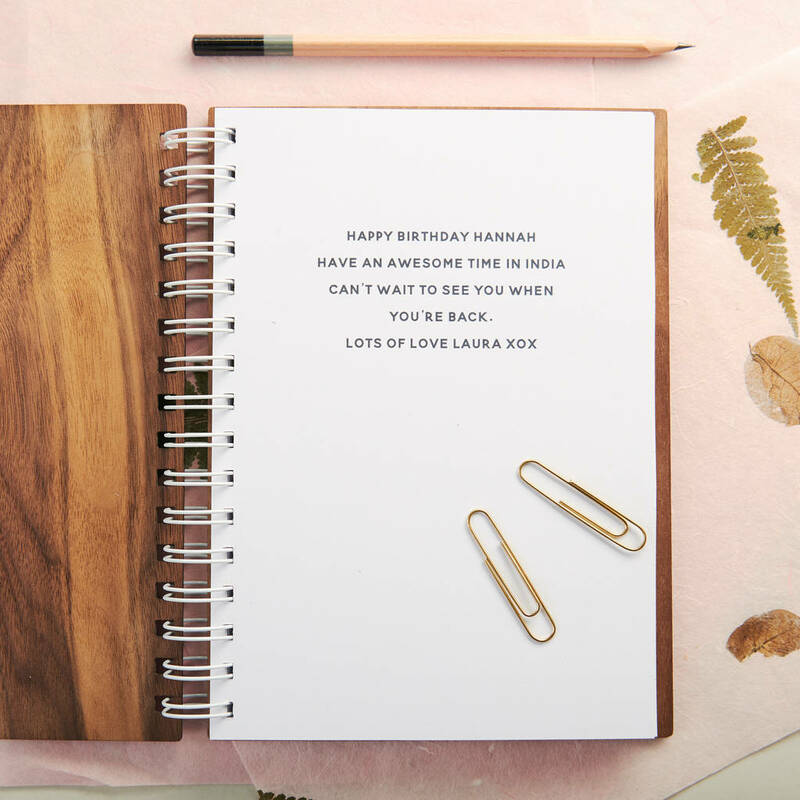 Add an optional personalised message inside the front cover on the first page. Printed onto premium 250gsm recycled card. Both covers are precision cut from real walnut veneered mdf. The wood is sanded and hand finished with boiled linseed oil. The 70 double sided lined sheets are printed in England onto thick 120gsm 100% recycled paper. 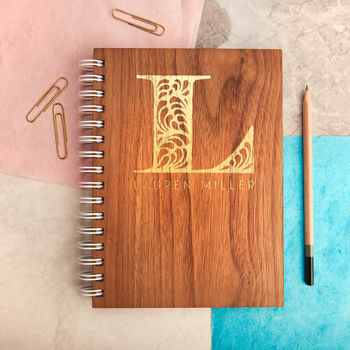 The optional personalied message on the first page is printed onto 250gsm 100% recycled card, the reverse is lined to match the rest of the notebook. 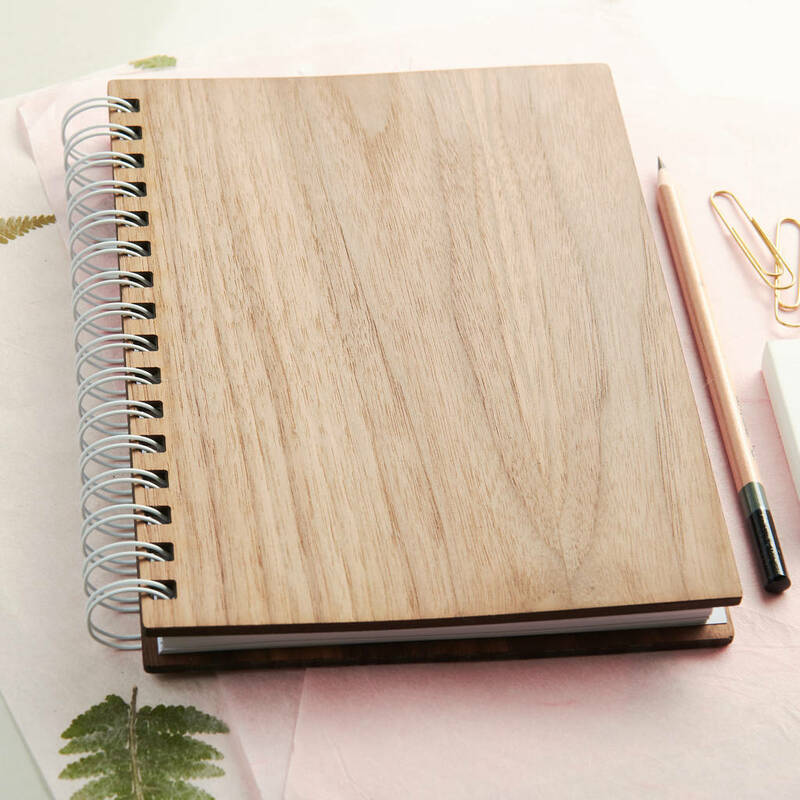 We use a special machine that presses a lux gold foil onto our notebooks, giving a unique and high quality finish. 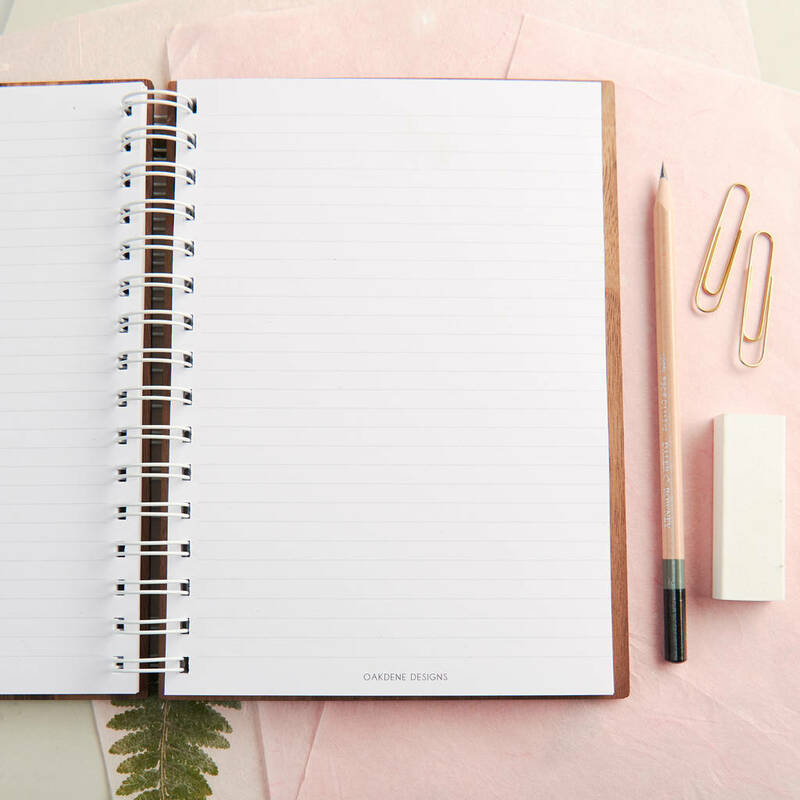 Please note that due to the foiling process, each notebook is individual and can have slight imperfections and flecks within the foil, making every notebook truly unique. This product is dispatched to you by Oakdene Designs.